Voting has Started for the Moda Piece & Comfort Challenge Quilts! Maggie used a digital allover panto design that she found with stars and flags. It's a really cool design to use on this quilt. 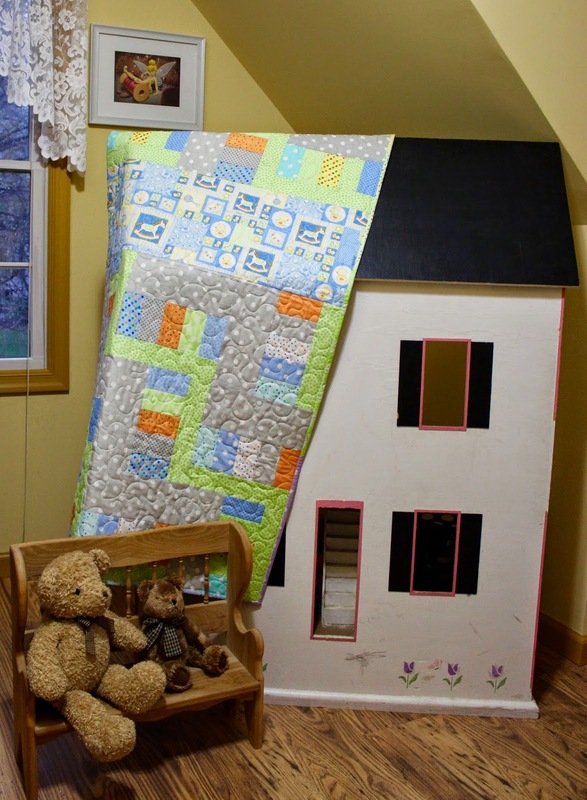 Maggie's quilt won a $50.00 Gift Card to Spring Water Designs as the winner from our shop, and now she's included as one of almost 200 entries nationwide for Moda's online Viewers Choice. Vote for her, and tell all your friends to vote too! 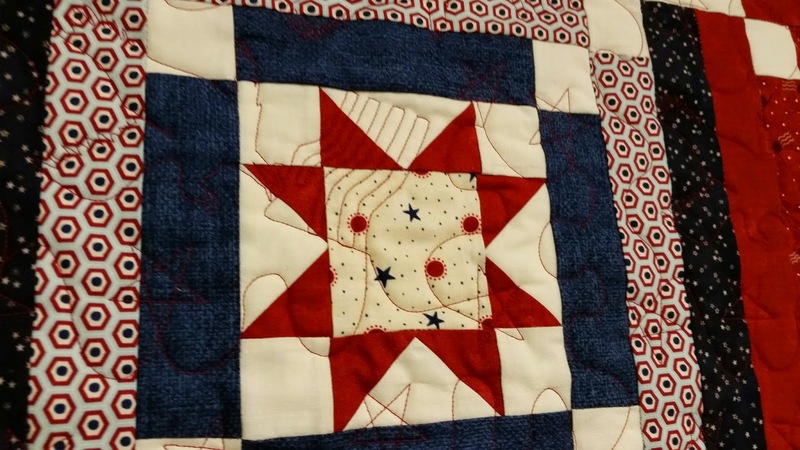 You can see all of the entries on the Moda Blog, and click on the photo of Maggie's quilt there to see a write up of Maggie's inspiration. Maggie is a veteran herself, so this cause was near and dear to her heart. 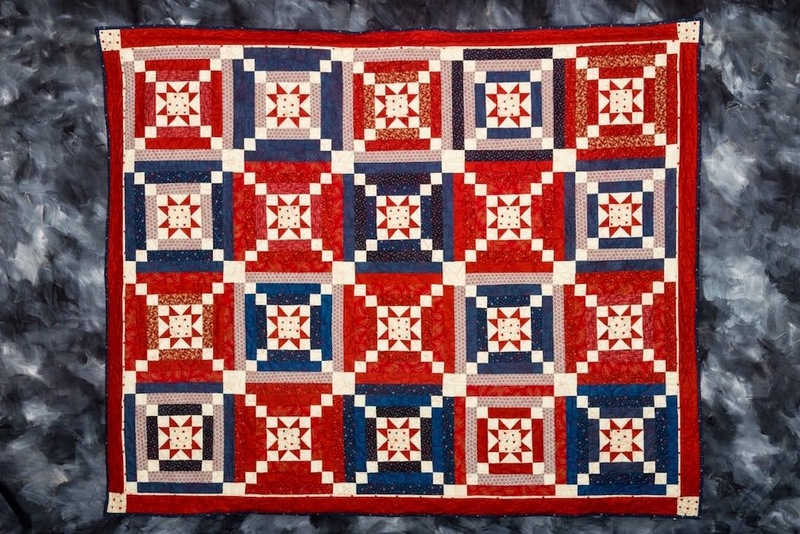 She makes alot of charity quilts, and I think she plans to donate this one too. I'd like to say Thank You to Maggie for her service to our country, and on the behalf of all of us...Good Luck in the Moda Piece & Comfort Challenge! 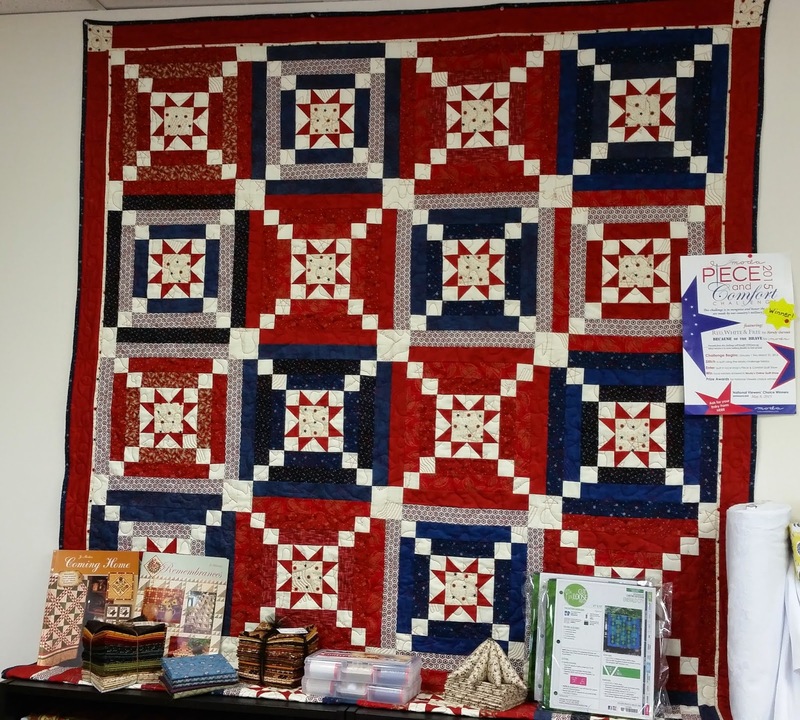 PS ~ These beautiful patriotic fabrics have been really popular ~ just in case you get inspired when viewing all the wonderful entries...we still have some of the fabrics, and kits for the Flag Quilt still in Stock. Proceeds from the fabric sales are donated by Moda to USA Cares.org! ...And our winner from the Pre-cut Party blog hop is Anita C! Anita, someone from Fabri-Quilt will be contacting you about where to send your Snack Pack :) Thank you to everyone who participated and made it a fun blog hop! Today is My Day on the Pre-Cut Party & Give Away! Fabri-Quilt asked me to use one of their Snack Packs and participate in their Pre-Cut Party Blog Hop, and I was happy to play with this "Baby Talk" Snack pack of (42) 2.5" strips. I started with the Snack Pack of strips, plus a few coordinating prints to make two cute Toddler quilts that go together...Yes, I said two quilts! One will read more "boy", and one more "girly". 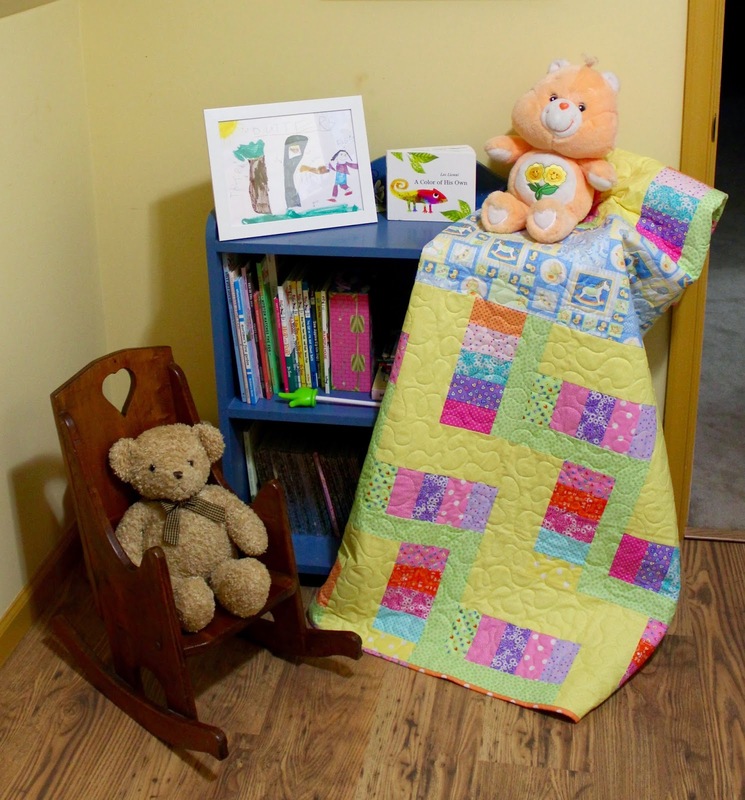 Who can't use a couple quick and easy kiddy quilts for those needed gifts that pop up on us! From that, cut (2) 10-1/2" WOF strips ~ one for each quilt. You will also need 3/4 yard each of two prints. *Tip: I neatly stacked the two fabrics and cut the strips all at once to save time. Cut (40) 2-1/2" x 10-1/2" rectangles ~ (20) for each quilt. It's conveniently labeled for those common 2-1/2" and 1-1/2" strips. For the 2-1/2" strips I cut in the slot at each of the markings with the squares by them. The strips look so yummy right out of the package :) I started by dividing up the strips into two groups of fifteen. 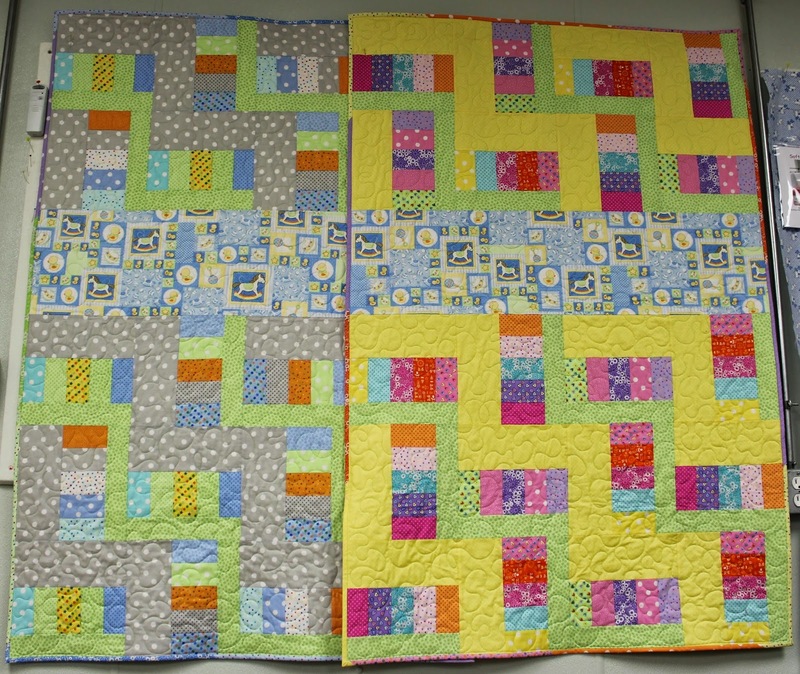 The group on the left used more pinks and purples to make the girl quilt, and I used more blues and greens in the one on the right. I arranged them into sets of five strips that will be sewn together to make a strip set. Save aside the remaining strips to be used later for the binding. Here are my two piles ready to sew. For each set of five strips, sew them together along the long ends to create strip sets. Make three 5-Strip sets per quilt. *Tip - After sewing the first five strips together, check your seam allowances by measuring across the width of the strip set. It should measure 10-1/2" inches wide. Make any needed adjustments to your seam allowances, then proceed to sew all of your strip sets together. Sub-cut the long strip sets into 4-1/2" segments (each segment will measure 4-1/2" x 10-1/2"). For each quilt, cut (7) segments from two of the strip sets, and (6) segments from the third strip set. You will need a total of (20) for each quilt. Then for each segment, you will sew a 4-1/2" x 10-1/2" rectangle to the top (Gray for the boys quilt, and Yellow for the girl quilt), and a 2-1/2" x 10-1/2" rectangle to the bottom of all. The blocks will measure 10-1/2" square at this point. You will make a total of twenty blocks for each quilt. These are the three different blocks I made for the Boy Quilt. Once all the blocks are pieced, I arranged the blocks in five rows of four blocks. 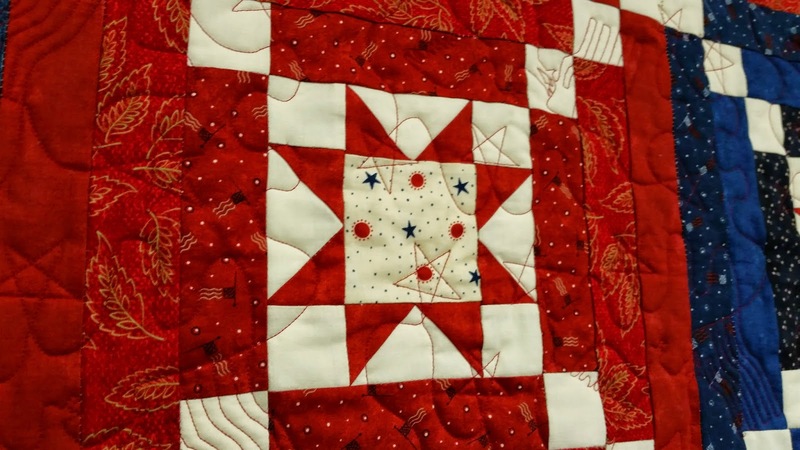 You can alternate and turn the blocks any way you wish for a random look, or I just turned every other block 90 degrees to create a zig zag look on the quilt. After quilting them I used the remaining 2-1/2" Snack Pack strips to bind them. I used six strips for each quilt's binding. Cut the strips in half before sewing them all together end to end to add to the scrappy feel. Now for the giveaway! Fabri-Quilt is giving away a Snack Pack of Baby Talk for one Lucky Winner! Pre-Cut Party Blog Hop (And Give Aways) Starts Today! 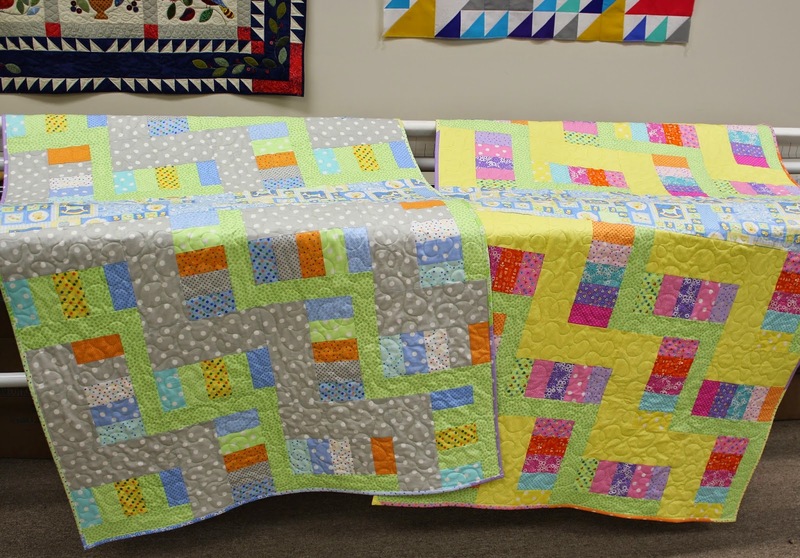 In the mean time, hop on over to the Inspired by Fabric Blog by Fabri-Quilt to catch the beginning of the Pre-Cut Party Blog Hop that starts today! Get inspired, learn a few things, and maybe win some fabric!